"Funded by one or more corporate partners through the Audencia Foundation, chairs form teams designed to develop research and teaching on practical management issues. They help to create genuine synergies between the expertise of faculty members and that of managers in partner companies." Audencia Business School chairs focus on the intersections of research topics from Rn’B Lab, the research laboratory of Audencia and Centrale Nantes. In line with Audencia’s research strategy, chairs either directly address an aspect of corporate social responsibility or innovation or integrate these issues into their work. Each chair is led by faculty members who have close relationships with business and rely on a permanent team of PhD students, researchers and other faculty members who have complementary skills. 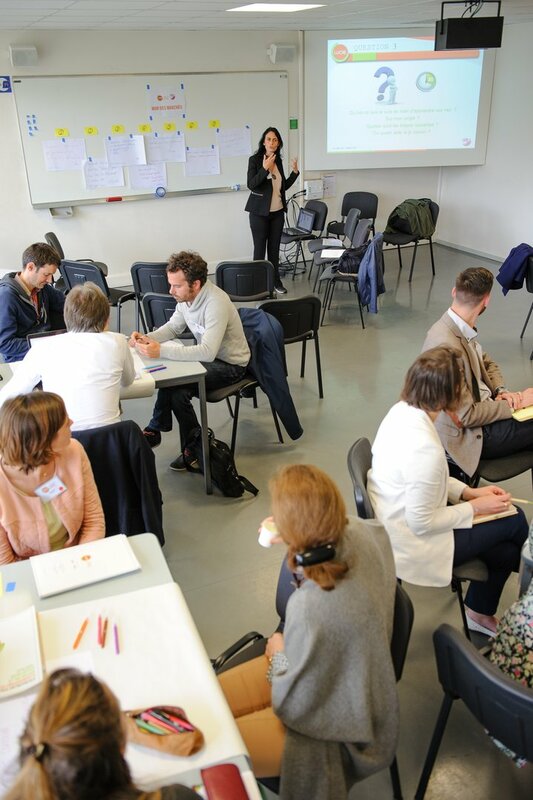 Audencia teachers work on many themes central to current business issues that may become chairs in the future, such as governance, digital marketing, data and the city of tomorrow. Research conducted by Audencia chairs is designed to inspire business. Participants learn to adopt business rhythms, serve business needs and take action quickly in order to develop operational solutions. Our chairs perfectly illustrate the Rn’B (Research and Business) strategy, and the Rn’B by Audencia label guarantees that chair research is aligned with today’s business realities and needs.